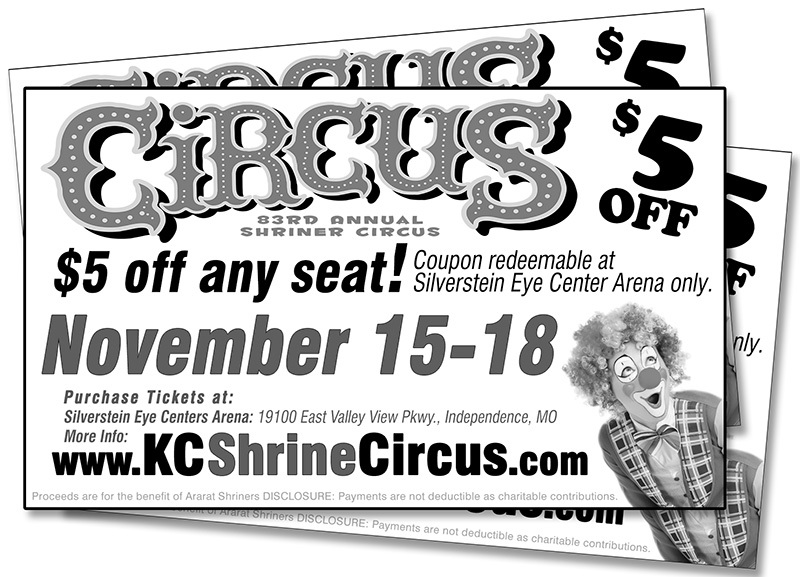 The Circus is a major event for the Kansas City Ararat Shriner’s, and it is enjoyed by thousands every year. Through this fundraiser, the KC Shriners can keep their doors open and continue their philanthropic work of supporting the Shriners hospitals for children. To put on such a significant event, advertising as well as, coupons, forms, flyers, posters, etc. are needed to inform the public. 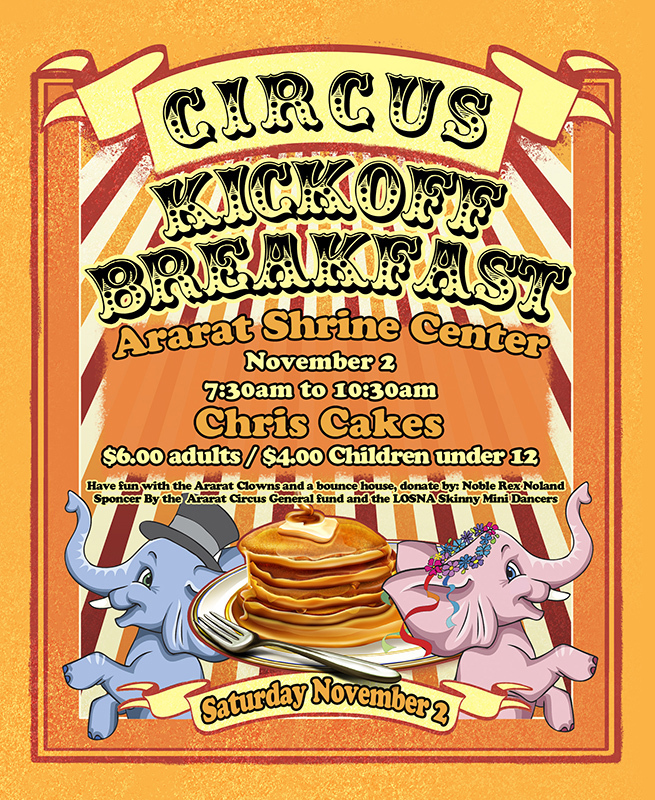 Patrick, through his company ZooBoing llc, has helped produce imagery for Ararat Shriners for six years running. Below is just a few examples of some of the pieces created for the circus.